Connecting 400,000 undocumented Houstonians to resources in their community. As undocumented immigrants, we sometimes find it hard to navigate the system of resources available to us, either because there is fear of not having access, or because of the language barrier. 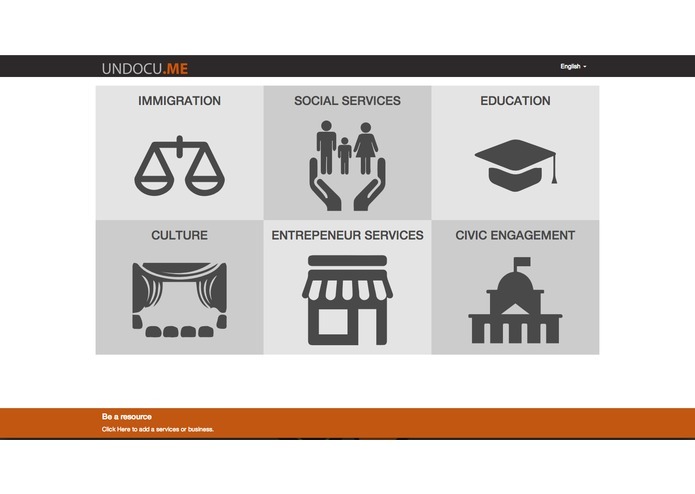 With 400,000 undocumented immigrants in Houston, there is a great potential market for a mobile accessible website that can be easily navigated toward the desired service. This website can be that solution. 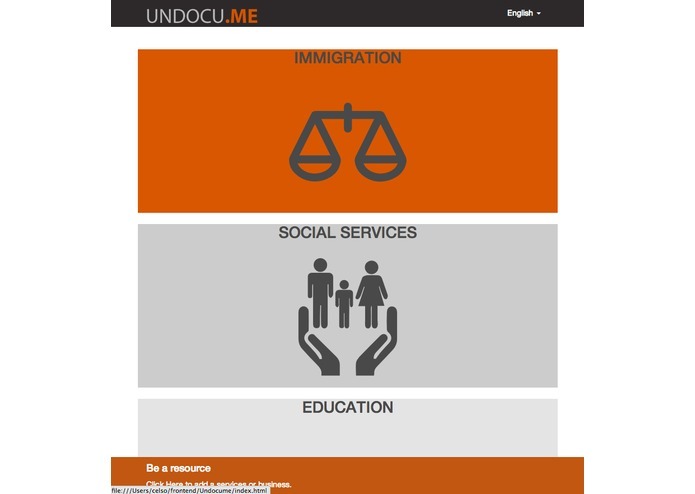 With it's responsive layout and multiple language support, this website aims to be that bridge between the existing resources and the undocumented communities.